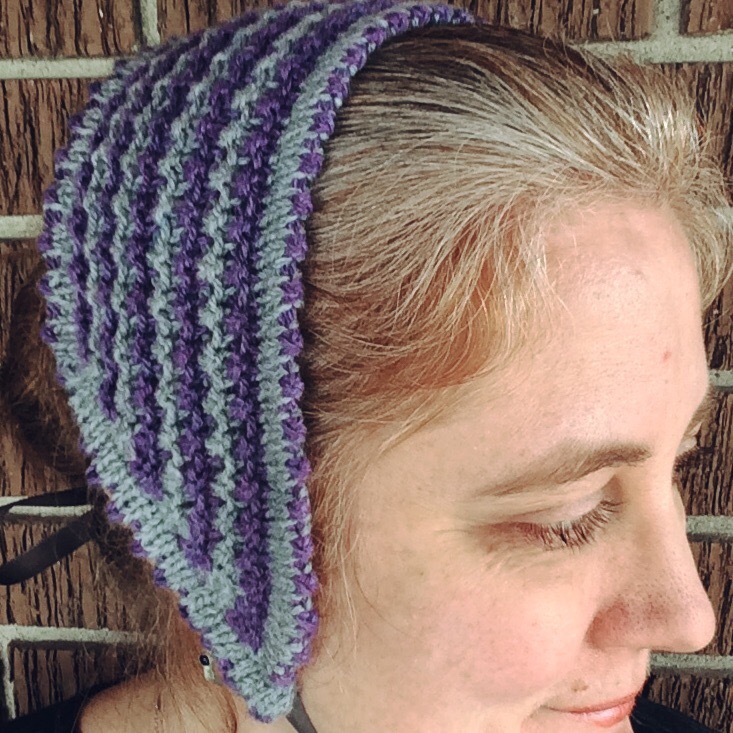 If you recall from my post last week, I have been working on An Opera Cap, the thirteenth pattern from Miss Lambert’s My Knitting Book (1843, First Series). 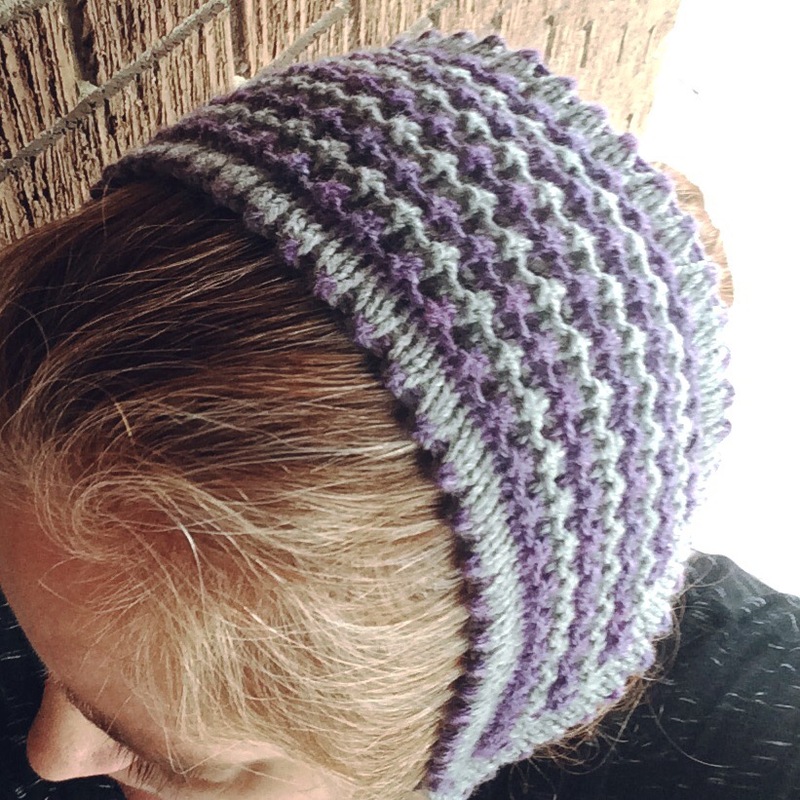 I received some very useful comments on the last post regarding the purpose of an opera cap in general – one comment highlights the fact that houses and buildings at the time were not always well heated and our ancestors knew that it was important to keep their body heat from escaping from their heads and also to keep their pulse points warm. I really love the idea of the Victorian ladies combining practicality and necessity with beauty. 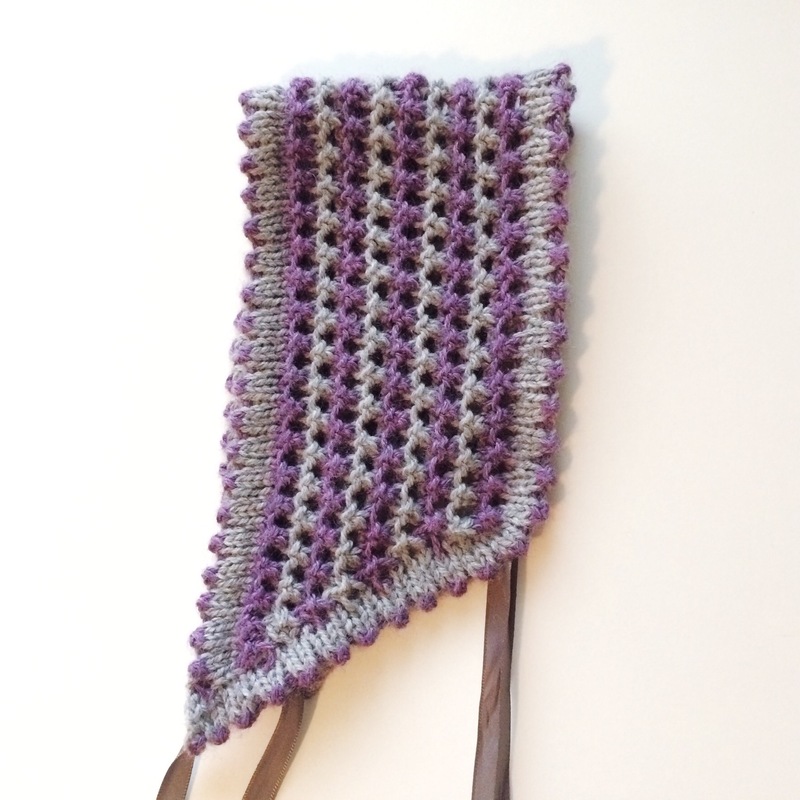 For the project, I used Berocco Vintage DK in pale grey and light purple that I had in my stash from previous projects to create the cap. The pattern was straight forward and easy to follow. Essentially it consists of a trapezoid piece of striped, simple lace knitting with a border added. The border is folded and sewn down to create a pretty but understated edging. 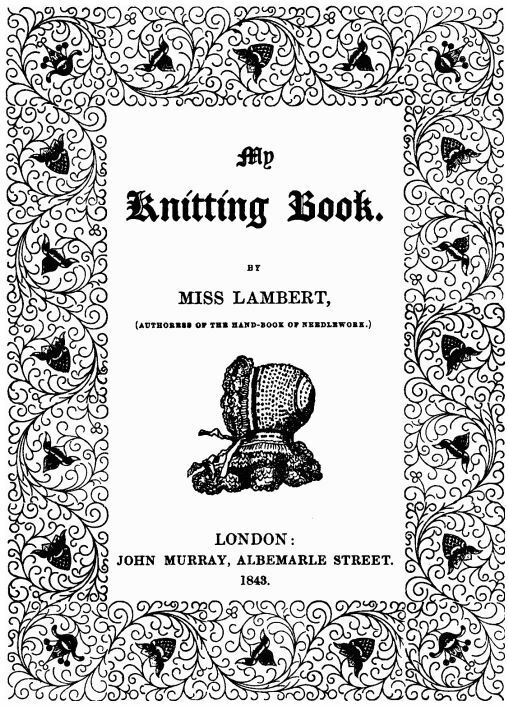 In the pattern, Miss Lambert refers to a lace row as the “fancy row” and for some reason, this makes me smile every time I see it! The pattern didn’t take too long once I got started (the biggest delay for me was finding some ribbon to finish it off) and I can easily imagine Victorian ladies making several opera caps in different colour combinations to match a variety of dresses and outfits. With the bow tied under the chin, this feels very old fashioned and Victorian! What do you think? That’s fantastic! You look like you’ve stepped out of the pages of a Dickens novel, with your lovely (and also practical) opera cap on. This is one of my favourite things about knitting from old patterns: you can make yourself a brand new vintage garment. I love it.